Let me briefly introduce our first acoustician. 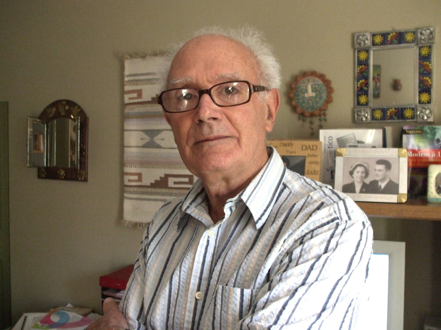 He is Professor Alberto Behar, one of the founders and the first President of the Argentine Association of Acousticians. Over the course of his career in acoustics, Professor Behar has done research on the accuracy of sound level meters, on hearing protection, and on noise exposure of musicians. Citations of a few of his publications are found at the end of the interview. Over the course of this interview, we will see how his passion about acoustics developed since his first attendance to a congress on acoustics in the city of Córdoba, Argentina. He founded the Division of Acoustics of the Argentine National Institute of Technology. Nowadays he continues contributing with acoustics as researcher at the Ryerson University and is involved in standardization. Ernesto: Hello Professor Behar, it is a great honor to interview you. Welcome to the section Interviews with South American Acousticians of Acoustics Today. Ernesto: Where are you from and what were your beginnings with acoustics? Professor Behar: I was born in Bulgaria and was 17 years old when I moved to Argentina. Once in Argentina, I had to take exams to validate my elementary and high school studies. Then, in 1951, I started my studies in telecommunications engineering at the National University of Buenos Aires. It was a five year program that does not exist anymore. I obtained my degree in 1956. The only approach to acoustics was a course lectured by Professor Engineer Larrea called Electroacoustics that I did not like it nor was I interested in. I passed the exam because it was a requirement. I then worked in the radio and TV industry for about 10 years. Then I joined the Argentine National Institute of Industrial Technology (INTI) in 1963. I was in charge of the department of electronics were we basically serviced the instrumentation of the entire Institute. I did nothing on acoustics at that time. The breakthrough occurred in 1965 when Professor Engineer Guillermo Fuchs, also a member of INTI, organized an international conference on acoustics in the city of Córdoba, Argentina. Someone at the head office of INTI decided to send an INTI representative, and perhaps he thought acoustics was something to do with electronics. Thus my supervisor, Professor Rafael Steinberg, asked me to go to Córdoba. I did not know anything about acoustics but I thought it was an opportunity to get on a plane (I did never traveled by plane before) and it was a week stay in another city so I accepted. During the five days of the congress I met many international acoustics leaders and I learned a lot. Ernesto: Could you tell us some of the people you met at that congress? Professor Behar: I will name just three people that were really important personally and professionally to my career. One of them was Dr. Felix Colmer. He was the secretary of the Academy of Science of Czechoslovakia and an outstanding acoustician. We became friends and we continue communicating nowadays. The second was Dr. Martin Grützmacher from the National Metrology Institute of Germany (known as PTB, its acronym in German). In those days PTB and INTI had established an agreement of mutual cooperation that included sending professionals to the PTB for training. And finally Professor Raymond Stephens from the Imperial College, University of London, who later became my fellowship supervisor during my stay in England. Ernesto: How did your interest and your education in acoustics developed? Professor Behar: Well, at that congress I discovered that acoustics was much more than loudspeakers and microphones. When I came back to Buenos Aires I proposed to my supervisor that we create a Division on Acoustics within his physics department at INTI and his answer was very simple, he said: “go ahead!” And that is how the Division of Acoustics of INTI began. As a first step, I was sent to Engineer Fuchs’ Laboratory at the Argentine National University of Córdoba for three months training. There I met Engineer Mario Serra and we became good friends. I also discovered psychoacoustics in Córdoba where the Laboratory used to conduct studies with the faculty of psychology, located close to the Laboratory. In 1968, the agreement with PTB was established. Then the Acoustic Division received top quality equipment from Brüel & Kjær. It was donated by the PTB thanks to Dr. Martin Grützmacher’s intervention. So we suddenly acquired first class instruments that we had to learn how to use, of course. It took some time and effort. All the professionals of the department of physics at INTI studied German because we were expected to go Germany for training. However I went to England through a British Council Fellowship. We found this opportunity with Professor Raymond Stephens who agreed to be my supervisor during my stay at the Imperial College in London. Under his supervision I developed a method for measuring transmission loss on small samples that allowed me to obtain the Diploma in Acoustics from the Imperial College. Once I finished that project, we arranged with Professor Stephens that I could visit laboratories of acoustics in several European countries, beginning with Brüel & Kjær laboratories. I also went to Praga and met Professor Colmer. At the end of that tour, one of my dreams came true: I spent some time at the Institute of Sound and Vibration Research (ISVR) in Southampton. I was in ISVR for a couple of months and worked with several acousticians in the field of hearing loss and impulsive noise. I also spent some time at an Institute on Building Acoustics. After that I returned back to Buenos Aires and we gave a new impetus to the Division of Acoustics at INTI. Ernesto: How did your work continued at INTI? Professor Behar: It was a period of hard work. We were engaged in providing services to the Industry in general. We were also involved in research on topics of noise and noise measurements, electroacoustics especially on microphones, architectural acoustics, and vibrations. We published a lot in international peer reviewed journals (Behar and Menyhart 1970; Behar, et al., 1976, etc). In 1976 I obtained the Fulbright Fellowship and went to work for three months at The Callier Center for Communication Disorders in Dallas, Texas. My research was on effects of impulsive noise on hearing. Back in Buenos Aires, with a group of friends and colleagues, we decided to create the Argentine Association of Acousticians (AdAA for its acronym in Spanish). Engineer Edmundo Rochaix and Engineer Antonio Mendez were among them. We were about 30 members! Who would imagine at that time that AdAA will host an international conference 40 years after that time?! Later on, I decided to emigrate because the situation in Argentina began to get insecure, with people disappearing during the military government. In 1977 I moved to Canada. Ernesto: How did your career continued in Canada? Professor Behar: I began working on highway noise barriers at the Ontario Ministry of Transportation and Communications. At the same time I founded the course Noise at the Ecole Polytechnique (University of Montreal). Also at the same time I began to collaborate with the Canadian Standard Association (CSA), something I am doing presently. In 1979 I joined Ontario Hydro, the provincial company for generation and distribution of electric energy. I was in charge of the physical agents (noise, vibration, illumination, and temperature extreme) in the occupational health and safety area where they used to call me “Mr. Noise” (he laughs) because this was my main work. I worked a lot on hearing protector devices, measurements, innovations, etc. After I retired, I joined an Acoustic Lab at the University of Toronto. There I did some teaching too. I also taught at the York University for two years. Presently, I am senior assistant at the SMART Laboratory, School of Psychology, Ryerson University, always involved in research related to the prevention of hearing loss. Ernesto: You have about 70 publications on international journals and several books in Spanish. Could you tell us a bit about these books? Professor Behar: I wrote my first book in Argentina, it is called “El ruido y su control” (Noise and its Control). And the last one “El Ruido Industrial y su Control” (Industrial Noise and its Control) was coauthored with Juan Cruz Giménez de Paz from Argentina in 2010. Ernesto: Which are your current academic interest and activities? Professor Behar: As a researcher at the Department of Psychology of Ryerson University, I am interested in diverse subtopics of acoustics. One of our last projects was on attenuation of sound shields for musicians from orchestras. A previous project was on the sound exposure of musicians from orchestras (Behar et al., 2016). The orchestra of the Canadian National Ballet collaborated in both of these projects. Another project was the study of the accuracy of sound level meters Applications (Apps) for smart phones. I am also the chair of the Subcommittee on hearing protectors at CSA and I also participate in two subcommittees: one on audiometry and another on management of hearing conservation. I am also member of the working group 17 of the International Organization for Standardization (ISO) on hearing protectors. Ernesto: How do you see the development of acoustics in Argentina? Professor Behar: Currently, compared with when I left Argentina about forty years ago, I can see a logarithmic increment, I would say, of the number of acousticians and the activities that they develop and the specializations they have. Forty years ago we used to have an annual congress with a lot of effort and few people (he laughs). It was necessary to “twist” our colleagues’ arms to get them present their work at these events. Last year we had the International Congress of Acoustics ICA 2016 in Buenos Aires with about 1,000 papers presented during the one-week conference and a Satellite Congress in La Plata (International Symposium on Musical and Room Acoustics, ISMRA 2016). There were papers from all over Argentina, plus many from abroad. We can see that acoustics has developed enormously from mainly occupational noise to the wide coverage nowadays. We should say also that Argentina has a lot of important acousticians like Engineer Oscar Bonello and many others who have contributed to the state of the art of acoustics. Let me also mention the book “La acústica en Argentina, un reportaje” (Acoustics in Argentina. Reportage) by Walter Montano for which I wrote the foreword. Details on how acoustics developed in Argentina can be found in this book. Ernesto: Thank you very much Professor Behar!